Any product or system component that’s exposed to the air has the potential to incur damage due to atmospheric conditions and contaminants. For telecommunications, aerospace, automotive and other equipment, these conditions can lead to premature wear and potential liability issues down the line. As a result, air testing equipment has become an important part of the quality-control process. Atmospheric contaminants can affect how equipment functions. The three descriptions — air contaminant testing, mixed flow gas testing or pollutant gas testing — all refer to exposing a test subject to simulated atmospheric contaminants and measuring their effects. Telecommunications equipment and surface coatings are the most common targets for MFG testing. Atmospheric contaminants cause various changes on the surfaces of metals, most of which promote corrosion and can affect how the equipment functions. Corrosion degrades the ability of coatings to protect the surfaces they are meant to protect. Airborne contaminants can also destroy building materials, protective coatings, rubber, plastics and metals. In conjunction with humidity, UV light, thermal changes, salt spray and fog, atmospheric particles and gases accelerate the aging of automotive, military and industrial equipment. Mixed flowing gas tests on telecom equipments are accelerated tests that simulate what the equipment would experience in ten years or longer in a central office (CO). 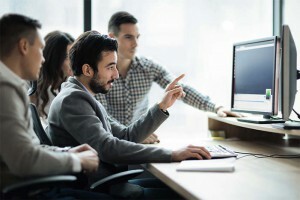 The standard for telecom and network equipment building systems (NEBS) GR-63-CORE outlines a way to test critical central office equipment. The NEBS standard includes mixed gas flow test and hygroscopic dust test. These trials include exposing the test subject to coarse dust particles, fine particles, water soluble salts such as sulfates and nitrites, volatile organic compounds, sulfur dioxide, hydrogen sulfide, ammonia, oxides of nitrogen, ozone and gaseous chlorine. Simulating air contamination is no simple process. Test pollutants need be administered in precise quantities, measured in microns or parts per billion (ppb), and only purpose-built equipment provides the right volume exchange and airflow rate for valid, repeatable results. NTS has the equipment necessary to perform air contaminants testing, including a large capacity chamber able to handle full size telecommunications racks. NTS provides MFG testing to help you evaluate the resistance of your materials and systems to all the environmental conditions, including air contaminants, and enable you to make the right choice of materials. We have the equipment and experience to simulate virtually any environment, and our engineering personnel will recommend ways to overcome potential problems stemming from exposure to airborne contaminants. NTS works closely with Nationally Recognized Testing Labs (NRTL) partners. Leading telecom manufacturers will only accept results from a NRTL for their systems. 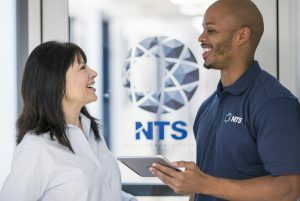 As the largest network of test laboratories in North America, NTS can turn around your project quickly, delivering accurate, verifiable results that identify potential problems before your product goes to market. Because MFG testing is usually only one of many services our clients require of us, our engineers are able to develop a customized testing plan that looks at all potential conditions your product may be exposed to. Defense, telecom and aerospace contractors have been important components of our customer base for more than 50 years. We understand your industry and will work with you to ensure your project requirements are met.NTS can perform air contaminant testing to various common standards, including IEC (IP), MIL-STD-202, MIL-STD-810, NEMA, GR-63-CORE, and RTCA DO-160 to name a few. Request a quote for our air contaminant testing services today.